A gravity filtration system requires no electricity to operate and can purify just about any fresh water source, including tap, lake, stream, river, pond, ground water and rain water. In the event of an earthquake, flood, chemical spill, power outage or any of a variety of other potential disasters, a gravity water filtration system can serve as an emergency water supply. Filtering your water couldn't be easier -- just pour the water to be purified into the top portion of the system, let it slowly filter through the filter elements to the lower storage container and it'll be ready for drinking -- and you'll be amazed at the improved taste of your water. 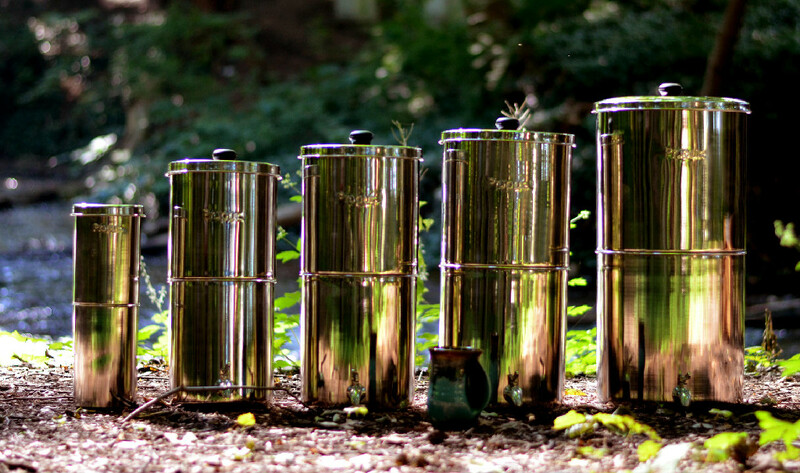 One of the best overall values on the market today are the Propur gravity drinking water filter systems. These products are highly-respected, and they're more reasonably-priced and better constructed than most competitive products.